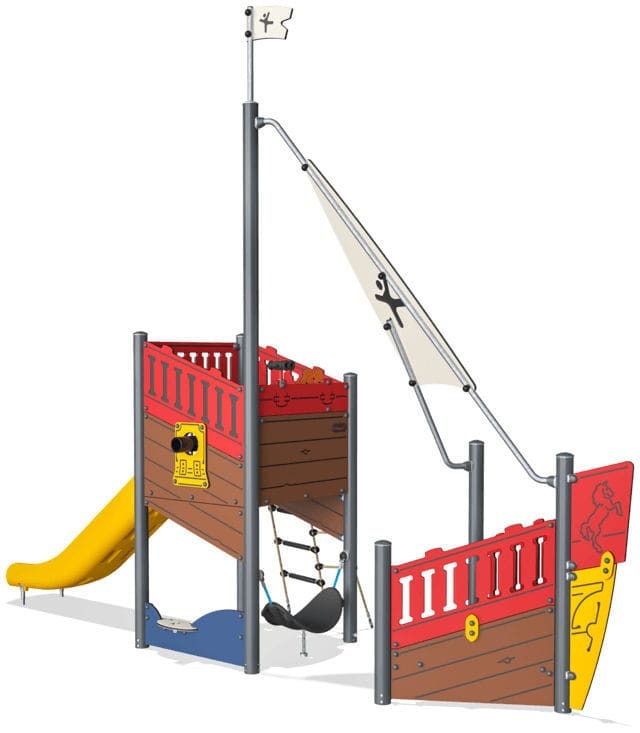 This fun Caravelle offers high density physical and role play with its classic theme and physical activities that stimulate motor skills such as cross body coordination and sense of space. 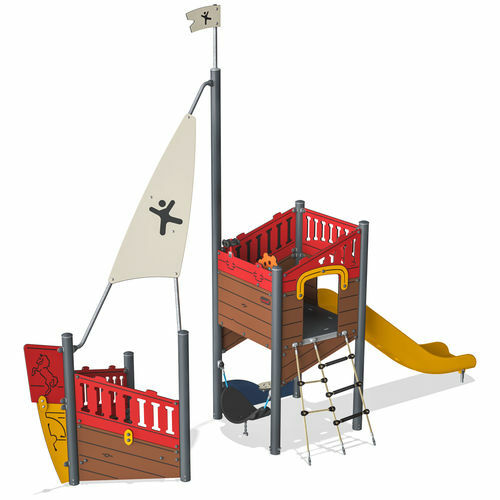 The ship can be entered by a rope ladder with varied steps, which can challenge children’s climbing. Once at the higher levels you will have a nice view of the ship and play area. From there they can slide down to ground level. On ground level of the ship a rocking hammock and a desk create a good play space.